SALARY SCALE: C2 (P112,812– P134,856) per annum. responsibility at Private or Parastatal Sector. To act as personal assistant to the NGO Council Coordinator by providing secretarial and administrative services. • Provides Secretarial Services to Supervisor. • Receives telephone calls and: answers questions, provides information and directs accordingly. • Maintains diary for Supervisor. • Draft replies to inquiries and issues standard replies as directed by the supervisor. • Collects information and prepares standard reports and briefing notes: Drafts replies to correspondence for approval by the supervisor. • Makes travel arrangements and notifies organisations and officials to be visited. • Produces letters, savingrams, minutes, memoranda, notes and standard reports including complex tabulations and difficult layout, working from shorthand or taped dictation, manuscript or other drafted material. c. Certified copies of academic and professional certificates, and National Identity Card (Omang). d. At least two (2) recent work related references. i. Date of first appointment. ii. Present post, scale and date of appointment thereto. 2. In the case of serving Public Officers, their applications must be routed through their Permanent Secretaries. Applications not so routed will not be considered. 3. 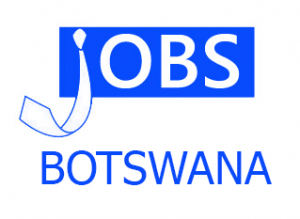 Applications should be addressed to: Permanent Secretary, Ministry of Nationality, Immigration and Gender Affairs, Private Bag 002, Gaborone, or hand delivered to the Ministry of Nationality, Immigration and Gender Affairs, Records Management Unit, 2nd Floor, Block 8 Government Enclave. 4. E-mailed or faxed applications will not be accepted nor considered. IMPORTANT NOTICE: Only shortlisted applicants will be entered into correspondence with. For further information please contact: HR Division of the Ministry of Nationality, Immigration and Gender Affairs at Telephone No: 3611255/3611130.